Well, I’m out of the analyst’s cave. I have sent off the report I was working on, looked out the window and noticed it was July. How did that happen? 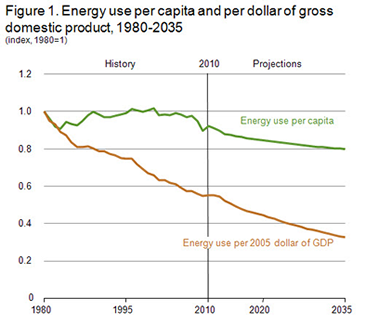 I also noticed that the U.S. Department of Energy has released their Annual Energy Outlook for 2012 with projections for 2035. And I’m numbered out. I have photovoltaic CAGR percentages on the brain and the DOE’s report looks like a soup of numbers right now. I need a bit of R&R. When the appropriate part of my brain starts working again I will pick those apart a bit. For now, though, I’ll just note that they are essentially saying that the U.S. of A. will hit the Green Trifecta. 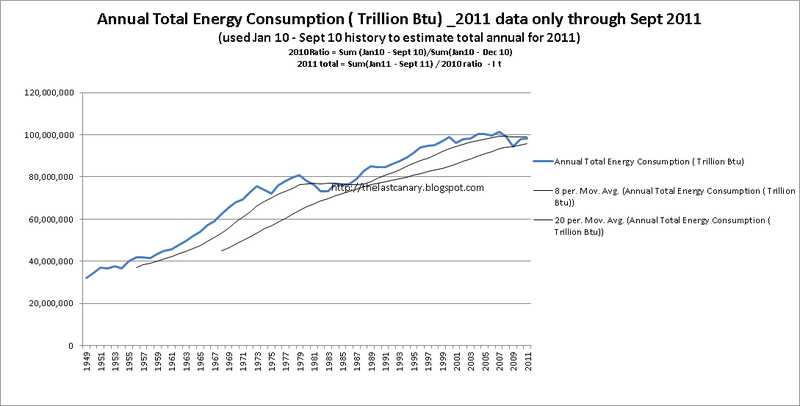 And the same chart shows an acceleration of energy efficiency, as we get more bucks for our bang, almost literally. It’s good to be back! Wow–it’s summer!